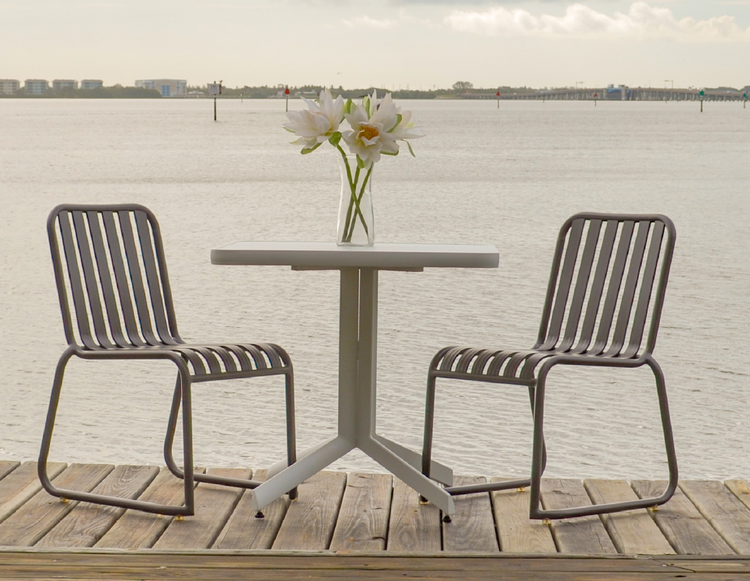 The Watermark Living™ Procida Collection is the perfect furniture for total outdoor exposure and built with quality, style and value in mind. This double walled all-aluminum, non rusting collection is perfect in any environment and any season. Every joint of the collection is fully welded and the finish is a baked on powder coat. The lumbar support on the chairs ensures ultimate back comfort and there are several finishes to choose from on both the chairs and the tables. The vintage look and feel of this collection offers a charm that is sure to brighten up any outdoor space.